Contact ATMI, the specialist manufacturer of float and tilt level switches for liquids and bulk solids. Where to buy? Distributor in my country? From Paris Montparnasse train station, take a 30-minute train and get off at Saint Quentin en Yvelines or Trappes station. From La Défense train station, take a 35-minute train and get off at Saint Quentin en Yvelines or Trappes station. Take the A86 direction Vélizy/Versailles. 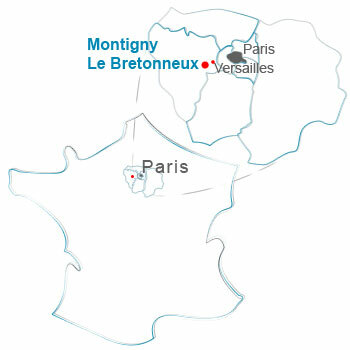 After Vélizy’s and Versailles’ exits, take the exit of Montigny le Bretonneux or Saint Quentin en Yvelines’ exit passing in front of Bouygues "Challenger" on the left, or after the exit of Rouen/Versailles, the second exit Rambouillet/Trappes to access the N10. Then the first exit of Montigny le Bretonneux just before the gas station TOTAL, taking the direction of Renault Technocentre. Take the A1 motorway direction Paris. Then, take « périphérique extérieur ». And take the A13 exit, Rouen/Versailles direction. Finally, take A12 with direction of Saint Quentin en Yvelines. Take the N10 and the exit just before the gas station TOTAL, direction Renault Technocentre.